If you appreciate more space and privacy than a standard hotel room in the city, with a host of additional facilities, La Loft Apartments are the perfect option for your accommodation in Adelaide. There is a La Loft property to suit all budgets and group sizes, from stylish serviced apartments and penthouses on North Terrace in Adelaide’s CBD, to sophisticated self-contained town houses in Unley, all with the comforts of home. 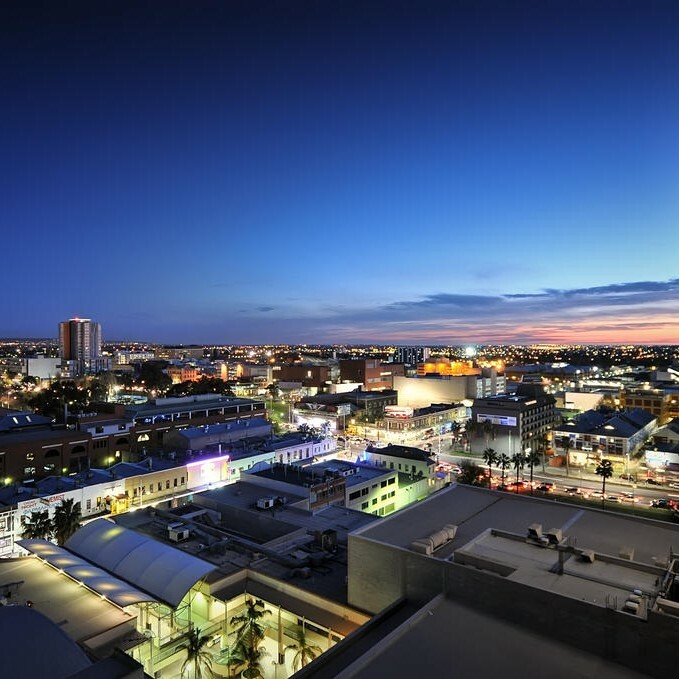 On Adelaide’s renowned and historic North Terrace, you will find La Loft Apartments located in the Horizon and Embassy hotels, directly opposite the Adelaide Convention Centre. Choose a fully furnished, serviced, self-contained apartment to suit your needs, all featuring separate bedrooms, ensuite bathroom, a fully equipped kitchen with stainless steel appliances including a dishwasher and microwave, private balcony, floor to ceiling windows, laundry facilities including a washing machine, dryer and iron, and connection to broadband internet. In addition, enjoy resort-style facilities within the buildings, including a heated lap pool, spa, sauna and gym. Meals are available from the café on the ground floor. Secure car parking is also available to make your stay even more comfortable. 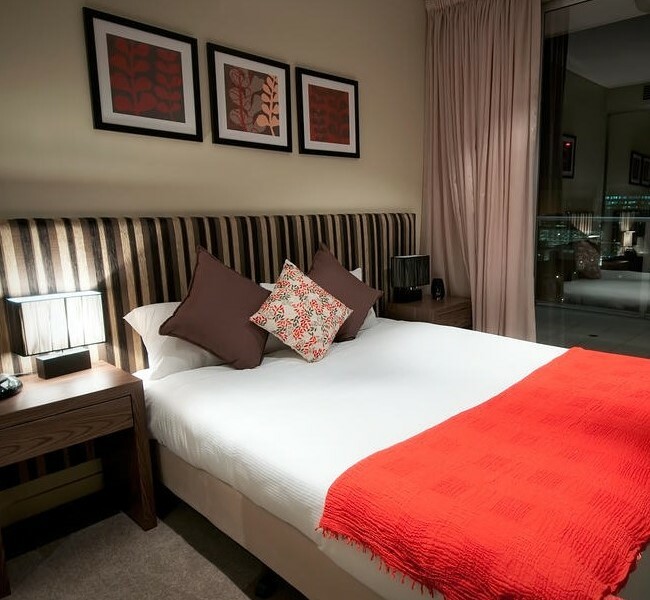 Our North Terrace hotel-style serviced apartments can be reached within 15 minutes from the Adelaide Airport by car or taxi, and are within metres of Adelaide’s iconic locations; the Skycity Casino, Parliament House, Government House, museums, art galleries and theatres. Close by is the Adelaide Festival Centre, the Rundle Mall shopping precinct, the Adelaide Central Market, Botanic Gardens, the National Wine Centre of Australia, and café and restaurant hubs. Travelling is easy with the tram network stopping along North Terrace, taking explorers and business people through the centre of town and out to seaside cosmopolitan Glenelg and return, if desired. Placed close to car hire companies and tour operators, La Loft’s North Terrace locations are also an ideal base for exploring the Barossa Valley, Adelaide Hills and McLaren Vale wine regions. Short-term apartment bookings are available, and long-term rentals are ideal for those in the process of relocating to Adelaide, needing executive accommodation, or simply not wishing to commit to a real estate lease. Book directly with La Loft Apartments to guarantee the best available rate with the most flexible terms and no hidden fees. You can either make your booking via our website, or call our free reservations line. By doing so, you will be in the number one spot for a free apartment upgrade, if available. Our website will always feature the best publicly available rate, but if you find a cheaper advertised rate, we will honour it and give you an additional 10% discount on your fee. We will be just a phone call away if you need to adjust your reservation, too. If your circumstances change within our cancellation period, you can be assured there will be no confusing process to navigate or extra charges incurred to amend or cancel your booking. The person who takes your booking will likely welcome you at your chosen hotel apartment, check you in at the agreed time on your arrival date, and will be ready to answer any questions you have about your accommodation or how to make the most of your time in Adelaide. Peruse our executive serviced apartments below, and get in touch us at La Loft to ensure your accommodation and stay on Adelaide’s North Terrace is as enjoyable and as comfortable as possible. Search available dates above and book directly with us today!